Ihre Fahrgestellnummer ist nicht gültig. Bitte geben Sie eine 17-stellige Fahrgestellnummer ein. Product information "Complete set APS+ (optical display radio, MMI) for Audi Q5 8R"
Customer review for "Complete set APS+ (optical display radio, MMI) for Audi Q5 8R"
Customer reviews will be activated after verification. 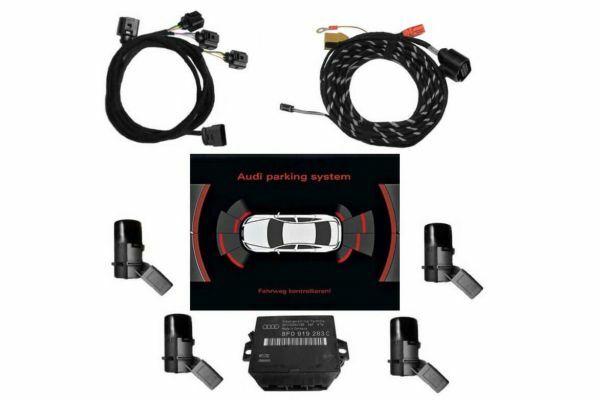 Properties: "Complete set APS+ (optical display radio, MMI) for Audi Q5 8R"
Installation manuals for "Complete set APS+ (optical display radio, MMI) for Audi Q5 8R"
Please enter your customer number, invoice number and postal code. Alternative: Log in with your access data here in the KUFATEC Shop and you will receive the instructions under "My Account -> My manuals"
The newsletter can be unsubscribed for free at any time. ** applies to deliveries in the specified country (standard selection: Germany). Select "change shipping details" to adjust the delivery time and shipping method for another country. All information can also be found under shipping costs.